Live in an out port and be just minutes from the city! This older home is completely refurbished and features a large kitchen, dining area, 3 bedrooms, bathroom, a superb living room with awesome views, and a large mud room. The bedrooms consist of 2 with a queen size bed, and one with 2 twin beds. There is no shortage of things to do. Visit St. John's, drive the scenic coast line, hike the East Coast Trail, or simply relax and watch the ocean. We have traveled extensively ourselves and we know how important it is to find a place that feels safe and provides an opportunity to truly experience a new place. We were awed by this property the moment we walked in. It's a salt box type home in one of the prettiest places in Newfoundland. The work the previous owners did was amazing. Everything from the kitchen back splash made from rocks of the beach to the open upstairs living room with 6 windows, all with an ocean view! There's tons of space here and you will not want to leave! Besides the house itself, the location of this property is what inspired us to buy. Pouch Cove is amazing! It's one of the prettiest places in Newfoundland. You can watch the ocean waves crashing against the cliffs, see ice bergs, watch whales, and take in the life of a small Newfoundland community. And that's without even going outside! You are a two minute walk from Newfoundland's infamous East Coast Trail. Literally hike until you drop. There's 200 km of trails to explore but you will find the trails in and around Pouch Cove as scenic as anywhere in the world! The bonus is that you are only 18 minutes to one of St. John's busiest shopping areas and 25 minutes from downtown where there are tons of unique shops, bars, restaurants, cafes, and even more walking trails. Great living room with panoramic view of Pouch Cove. Nice separate dining area off the kitchen. We found this home very comfortable and excellent for self-catering. It would be an ideal place for an extended stay - quiet and well-appointed with easy access to St. John's and beyond. Tons of Newfoundland charm! Great location with all of the amenities. Very comfortable. Thanks you! Lovely house! Everything you Is there. Great home base for day-tripping! We thoroughly enjoyed our trip with Pouch Cove being our home base! Walked partially along the East Trail which is just down the street. Also, there is a grassy path to impressive views behind the ball diamond. Only 25-30 minutes from airport in St. John’s. Ventured out on day trips daily: Signal Hill, Cape Spear, The Rooms, The Basilica & Presentation Convent, Bell Island, drove the Irish Loop (need about 7 hours which includes breaks & lunch), whale watching in Bay Bulls... wonderful trip with Pouch Cove to stay. Thank you! We had a great stay in your beautiful home. Not only is it a warm and inviting home, there is everything there that we needed to help us enjoy our stay. We really enjoyed having our breakfast while enjoying the ocean views from your upstairs Family Room. The people of Pouch Cove are very welcoming. We had great walks on the Eastern Trail, which is right outside your front door. Thanks for helping us make it an unforgettable trip. 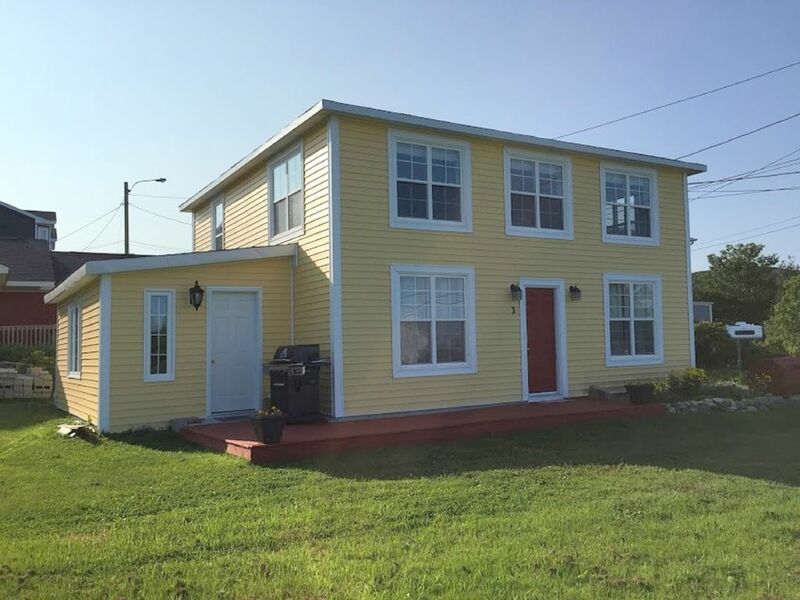 Such a lovely home with beautiful second storey views of the ocean...a great option when staying in St. John's area. The home is lovely and well maintained, it had everything we needed for our stay. Great view of the ocean for sunrise/sunset enjoyment. Recommend stopping for food supplies before heading to Pouch Cove as only 1 take out restaurant (burgers/fishχps were good!) and 1 convenience type store.